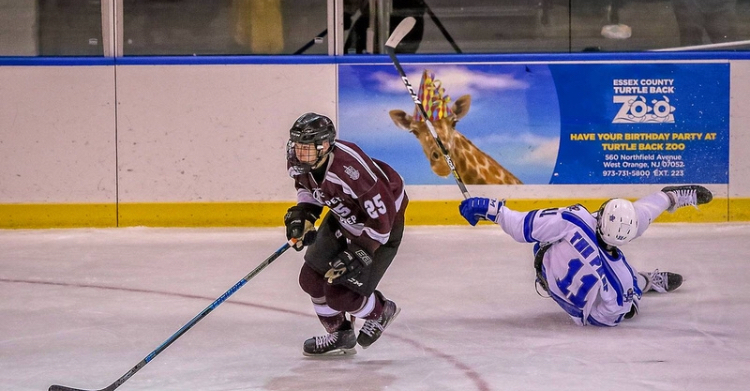 The St. Peter’s Prep Ice Hockey team showcased once again while its one of the best teams in the state. The team finished with a 11-11 record, had a conference record of 6-2 and finished ranking 8th in the state. Some notable victories came earlier in the season when SPP defeated Seton Hall Prep, 5-3, and Bergen Catholic, 5-4. Senior Matt Zdanowicz, who recently scored his 101st point, led the charge for the marauders, which ended its season in the quarterfinal round of the Non-Public A Championship against Delbarton. Zdanowicz had a total of 24 goals and 22 assists, which gave him 46 points to end his prep career. Senior Ty Pezzolla had a total of 10 goals and 22 assists while Senior Christian Della Rocco had 11 goals. Previous: Previous post: Prep is Coming to California!